It was next to impossible to pick a favorite, so I’m going to call this one of my top favorites from the show. 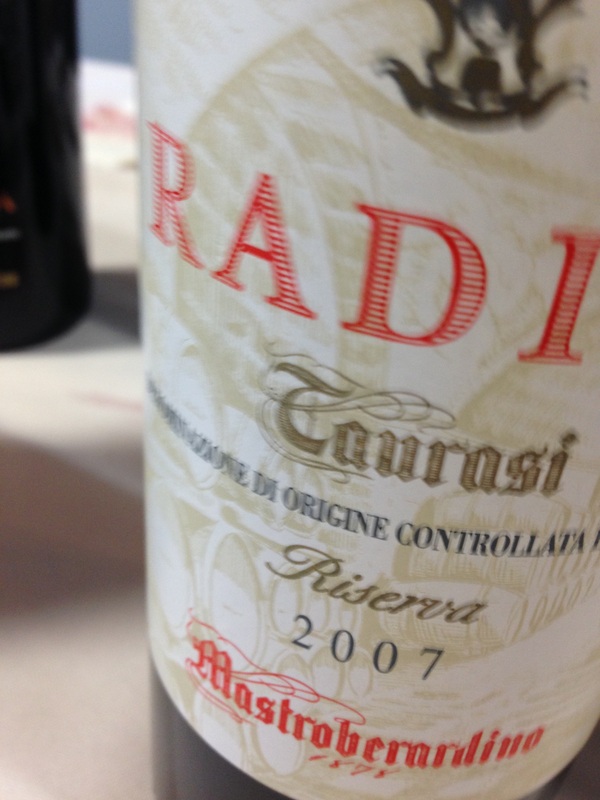 The Radici Taurasi Riserva by Mastroberardino! It was well structured, deliciously savory and an all around very well made wine. Rich dark fruits and cherry flavors, with black pepper notes. Rayell used the term ‘great depth’ which I loved. It comes from Campania in Italy, in which the name itself means ‘fertile countryside’. This area of Italy also boasts the Amalfi Coast and Mount Vesuvius, so you know it’s a gorgeous part of Italy. The Wine Advocate gave this 2007 wine 94 Points, and I would have to agree. 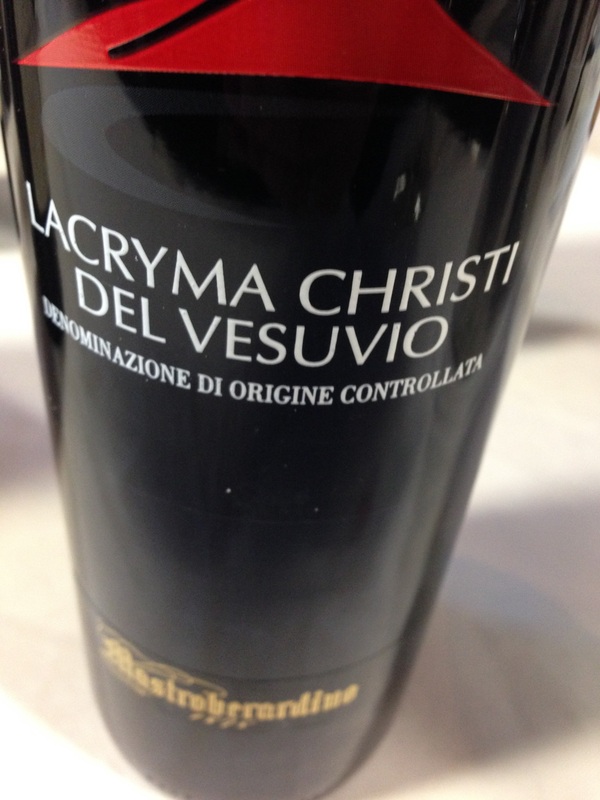 From the same vineyard comes the 2014 Lacryma Christi del Vesuvio Rosso. (Many of these Italian wines have names that are full mouthfuls). Being a 2014, this wine was young and in my opinion, needs some aging. But it had delicious candied aromas on the nose and a really juicy palate. It had very good structure though for a very young wine. 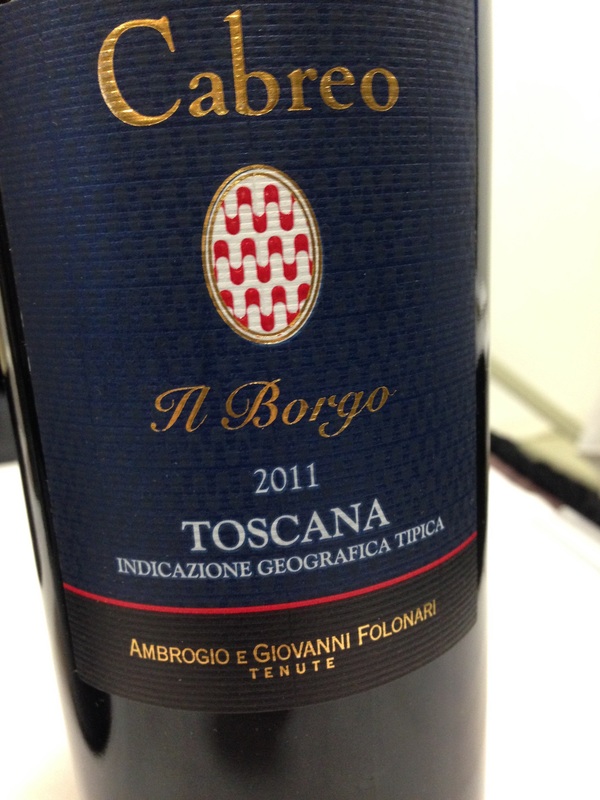 From Tuscany, this is the Cabreo Il Borgo 2011 Toscana, a Super Tuscan wine. What do I mean by a ‘Super Tuscan? In the 70’s a group of wine producers felt the restrictions were too limiting in Tuscany. There was a long list of restrictions, and one of them was they were not permitted to use traditional grapes like Merlot and Cabernet Sauvignon. Antinori, one of the great vineyards in Italy, was the first to create a Super Tuscan wine, a Sangiovese Cabernet Sauvignon blend in 1971. Because they didn’t abide by these restrictions, they had to label the wine as ‘vina da tavolo’, which means table wine. Well, these producers wanted to set the wine apart from the generic table wine, because they felt their wine was a better quality. They coined the phrase Super Tuscan. This Cabreo Il Borgo Toscana is also a Sangiovese Cabernet Sauvignon blend. The world Borgo refers to the small village of Montefioralle, which overlooks the vineyard. It was velvety rich and had good tannins. It was a great match to the Italian cheese Padano I was enjoying. 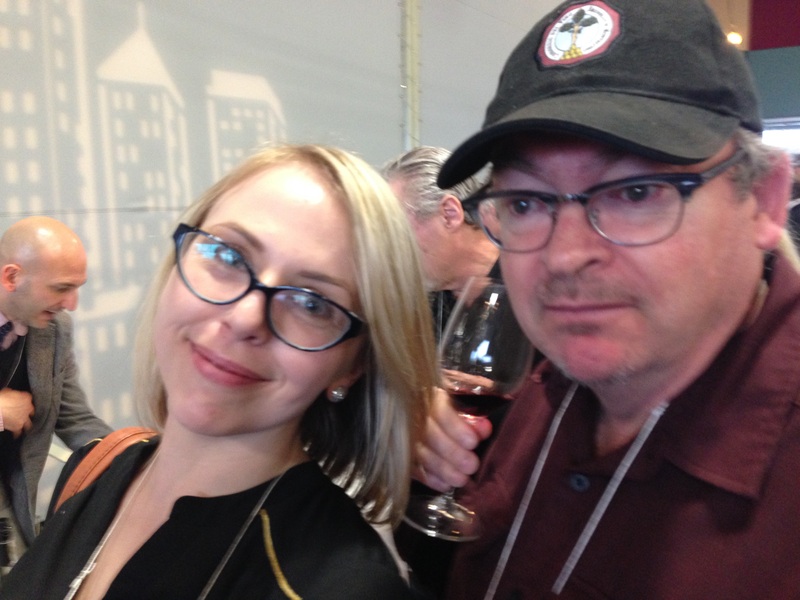 Pictured with Rayell, is a great wine taster, my friend Jeff Pinhey. I always tell him I need to take his picture to boost ratings! We were all together when we tried this fabulous Barbera wine. The Le Orme 2012 Barbera d’Asti. My picture turned out a bit blurry, it’s not easy to snap photos and drink wine all at the same time. This was another one of my favorites that topped my list. It was rich and robust and was well structured on the palate. Nice cherry flavors and earthy tones. And from the same vineyard of Michele Chiarlo, came my most pleasant surprise. 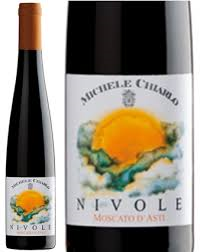 The Nivole 2014 Moscato d Asti. My palate fell in love with this Moscato. It is the perfect Sunday afternoon Summer wine. This fabulous sweet slightly sparkling wine had lush honeyed flavors of peach and apricot and the perfect amount of effervescence. It was a beautiful expression of Moscato. I can understand why they named the wine ‘Nivole’, which is the Italian word for clouds. 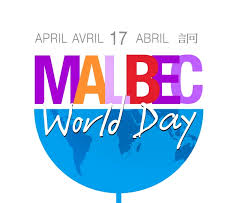 Today is Malbec World Day. On April 17, we celebrate the Malbec grape to commemorate the day when president Domingo Faustino Sarmiento of Argentina officially made it his mission to transform Argentina’s wine industry. He asked French soil expert Michel Aime Pouget to bring new wine vines to Argentina, and one of them was Malbec. Malbec flourished in Argentina, and it’s a good thing… several years later France suffered a terrible freeze which wiped out a lot of the Malbec vines. So in honor of this wonderful wine, here are some of my favorite Malbec wines. Malbec is recognizable by it’s dark purple color. Easy to spot in most blind tastings. 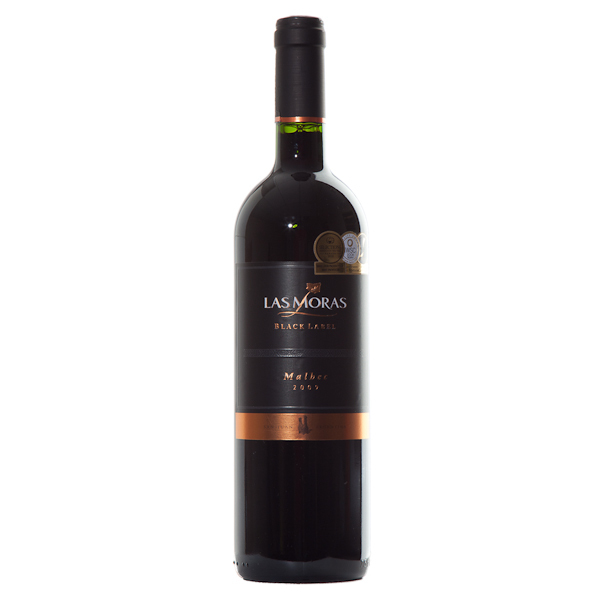 This Las Moras Black Label Malbec is one of my go-to Malbec wines and deserved the frist spot on the list. Coming in under $18, it’s no wonder this wine is so popular. It’s a beautiful inky purple color in the glass and your nose will detect chocolate and spice. Juicy bold fruit flavors, more spice on the palate that lead to a great finish. A great wine for barbecue meats. 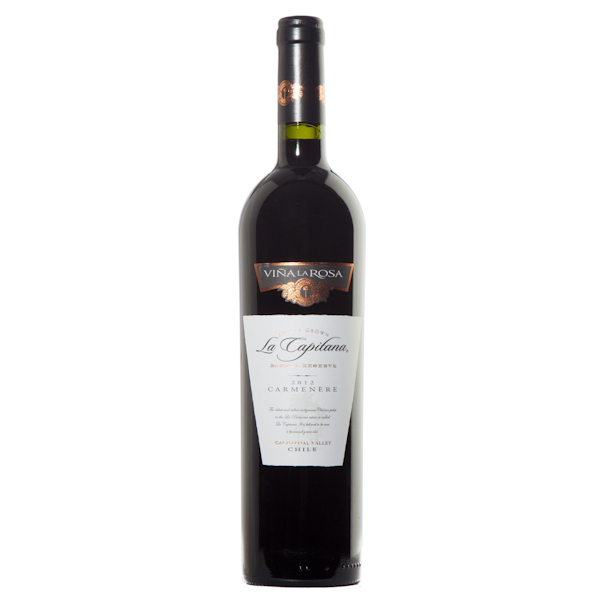 Although Malbec is becoming known around the world as Argentina’s grape, Malbec actually originated in France. It is one of the grapes allowed in Bordeaux, and can make up a small amount of a Bordeaux blend. 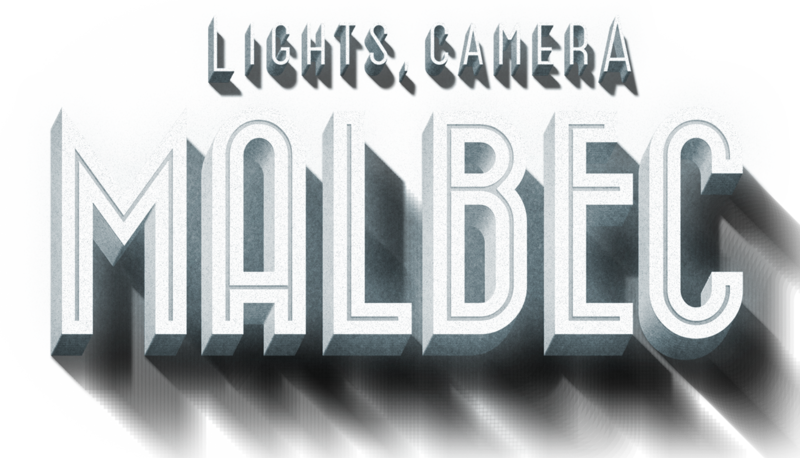 If you see a wine labeled Cahors, then it’s a Malbec. Because France labels the wine by regions, and not grape varietal, it may be a little harder for you to know a French Malbec. Well, here’s a delicious example of a Malbec wine from Cahors. 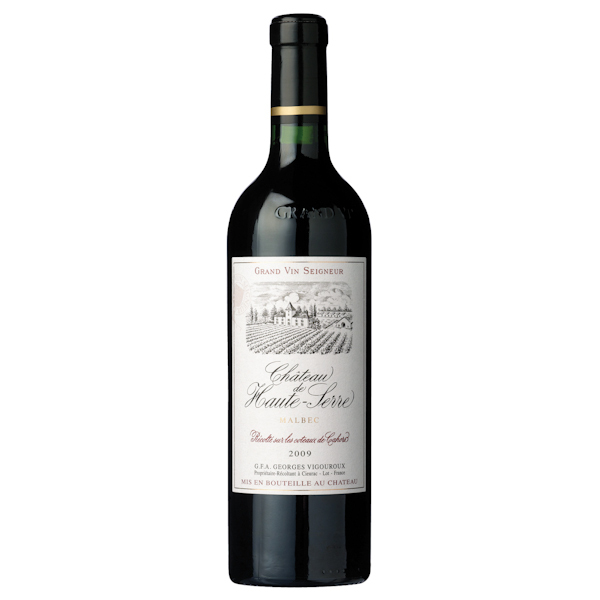 The Chateau de Haute Serre is a full-bodied Malbec with gorgeous dark luscious fruit flavors, spice and a hint of mint. Grilled beef, grilled lamb, grilled pork… I think you get the picture. BBQ meat is a great match. Here’s another one of my favorites. 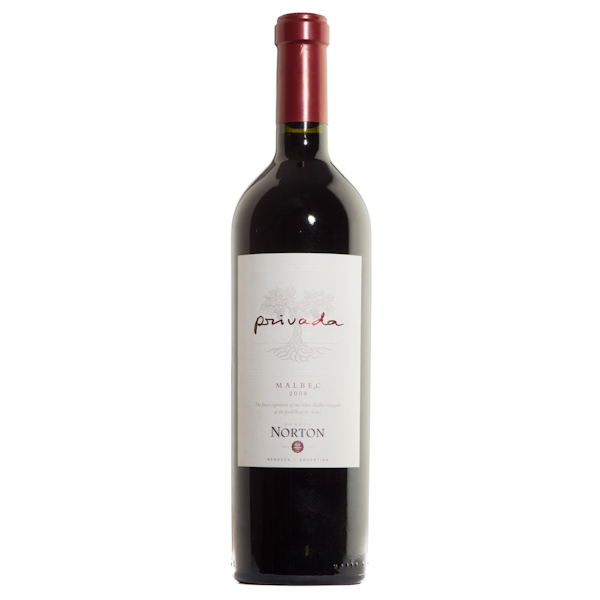 The Norton Privada Malbec from Argentina, is Argentina Malbec at its best. Malbec loves the heat and maybe that’s why it found its home in Argentina. The Norton Privada combines plum and blueberry fruit flavors, again some spice, and a toasty vanilla flavor from well done oak aging. 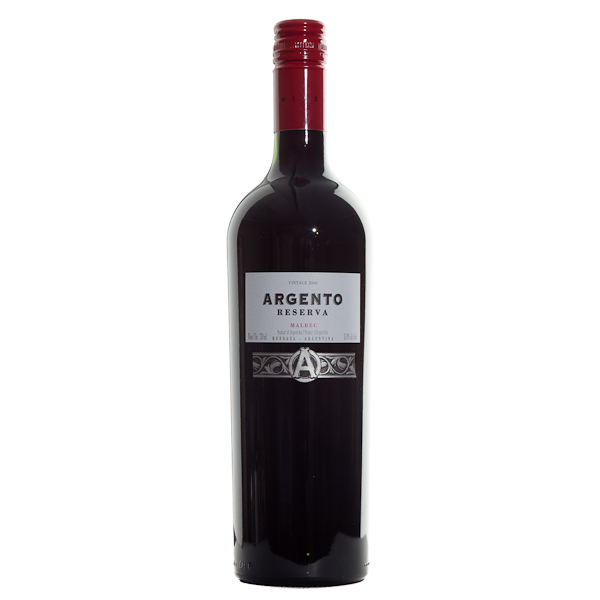 And last but not least, if you want an easy to drink Argentinian Malbec that is easy on the palate and easy on the wallet, try this Argento Reserve Malbec. I know I have a bottle and I paid $15.99 for it. Great price, great wine. Black cherries, vanilla, spice, and a rich dark color, this is a Malbec you won’t feel guilty about opening any night of the week. 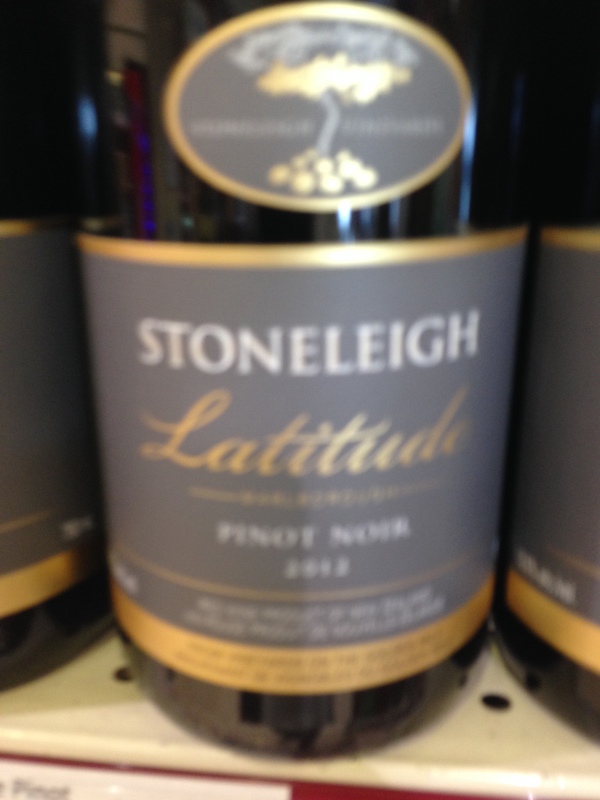 My new wine of the week…. it may surprise you…. Carmenere. I don’t drink a lot of Carmenere but on the suggestion of my friend Rayell, I tried this La Capitana Carmenere from Chile. It was lovely. A hint of a cigar box aroma on the nose, rich dark plum fruits, and chocolate notes. Carmenere is a good sturdy wine which comes from the Cabernet family. The word originates from the French word crimson. In the past, it has been mistaken for Merlot. Personally I find Carmenere a little dryer than Merlot, but this was exceptionally good, and under $19, made for great value. So in honor of World Malbec Day, enjoy a Malbec this weekend and discover a great grape you may have been missing out on. 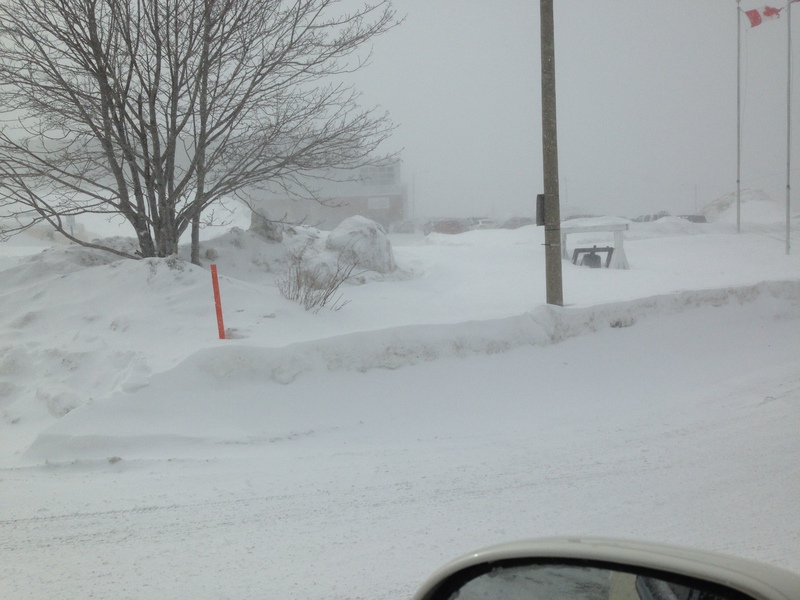 I went out for a jog this morning, and practically froze to death. I had two long sleeve layers on, including a fleece, and it was cold. It dawned on me that’s why the snow hasn’t been melting,,, it’s too cold. It’s almost the middle of April and it’s too cold for the snow to melt. 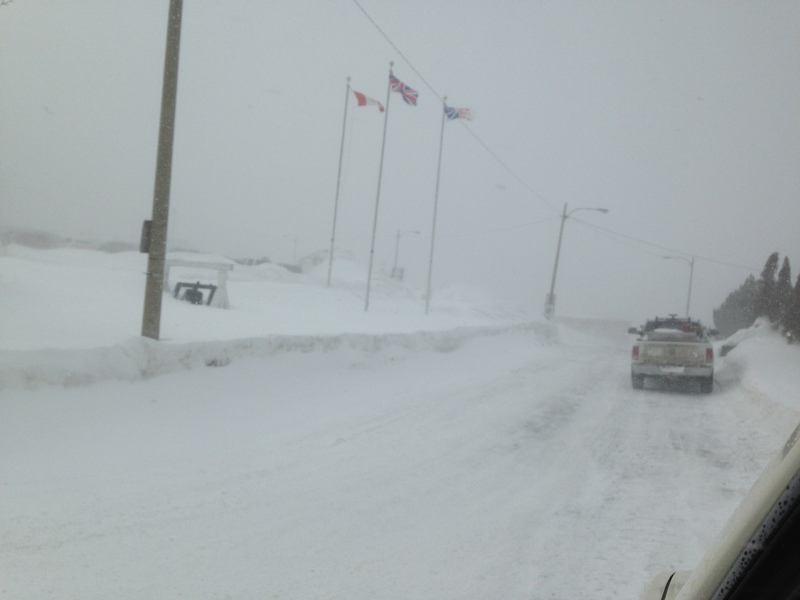 This time last year I had my snow tires off. So what do you do… drink wine, it will keep you sane. I have been trying a few new wines lately. And I like getting out of my wine rut every time I find myself reverting back to my old favorites. Here are a few. 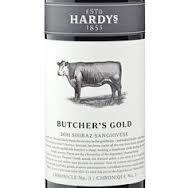 Hardy’s Butcher’s Gold is a blend of Syrah and Sangiovese. It’s a great wine for when BBQ season finally arrives. It’s a gorgeous deep rubycolor with plum and cherry flavors and there’s a great balance between tannins and acidity. The Syrah adds great structure and the Sangiovese adds a softness that makes this wine very food friendly. Here’s a new California Red Blend I tried this past week. 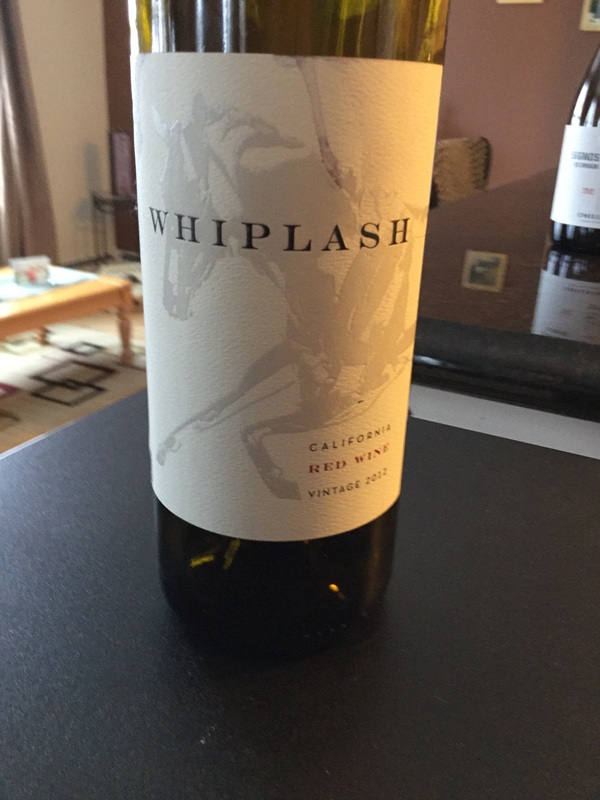 The Whiplash Red Blend is an exotic blend of Zinfandel, Barbera and Syrah. Sweet black fruits, with gorgeous plum flavors and a hint of chocolate. It is not an overly sweet wine, but there is a kiss of sweetness that will have you wanting more. Perfect BBQ wine if BBQ season ever arrives! 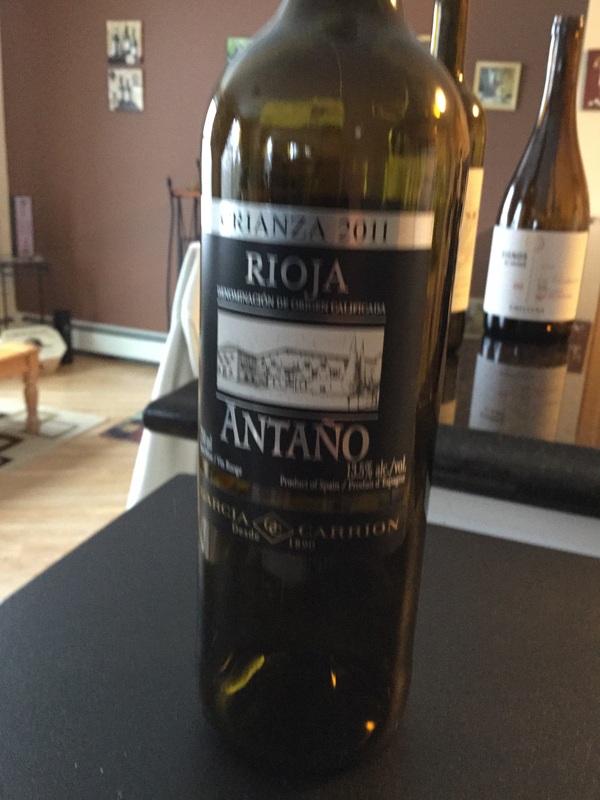 This was a great find, because I love finding really tasty Spanish wines at reasonable prices. This wine is a Tempranillo done in the Crianza style, which means it was aged for 18 months before release, and 6 of those months were in oak. This is an easy to drink wine with strawberry and cherry notes, and a bit of vanilla spiciness from the oak aging. And I paid under $15 for this wine. Win – win all around. This was my absolute favorite find of the past week. 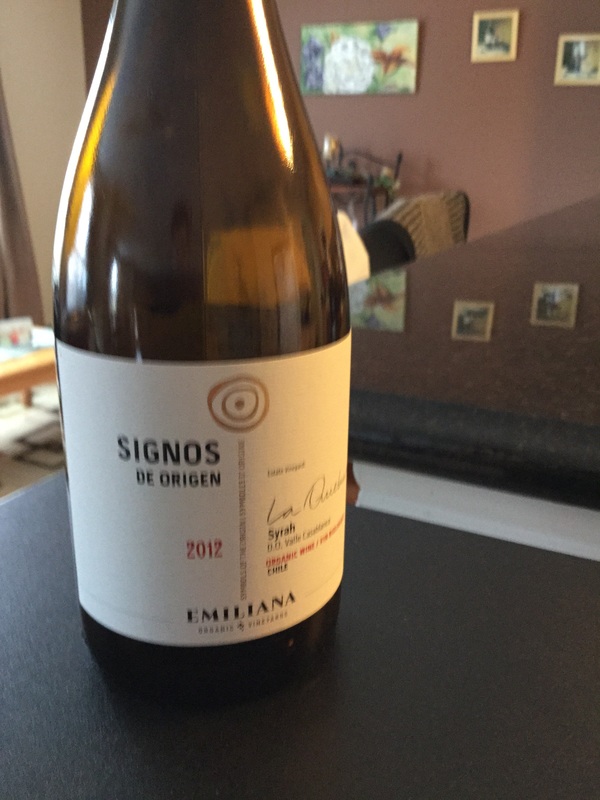 It is a Syrah out of Chile called Signos de Origen. And it is completely organic wine. It is 97% Syrah and 3% Viognier. And the Viognier adds a touch of zip that made me go ‘Wow’ when it hit the palate. This fantastic find is under $20 right now, here in Nova Scotia. Gorgeous flavors of blueberry, black pepper and nutmeg. It’s full-bodied, smooth and has tremendous structure. So that’s it for this week. Till next week, drink responsibly and enjoy a glass of wine. I would like to take a moment to wish all my readers a very happy Easter. 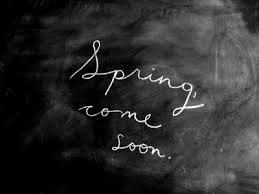 I hope you have a fabulous long weekend, and that there is some fabulous wine in store for you. As you know, I spent last week in Newfoundland taking care of my two nephews. As someone with no kids, it was awesome to spend the week with them. As someone with no kids, it was awesome to enjoy a glass of wine once I got them to bed. So there was 12 year old Riley (pictured on the left), and 16 year old Brady. 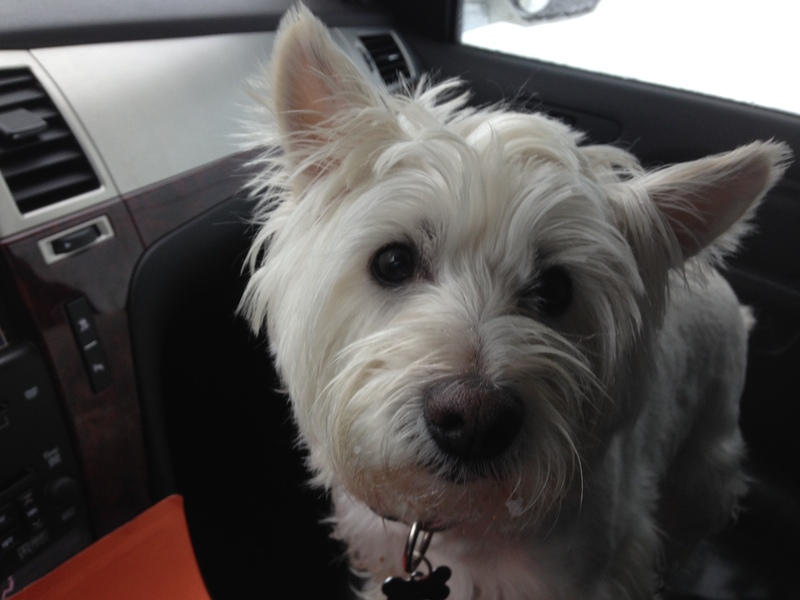 And then of course my co-pilot wherever I went that week, their beautiful dog, a Westie, Bailey. 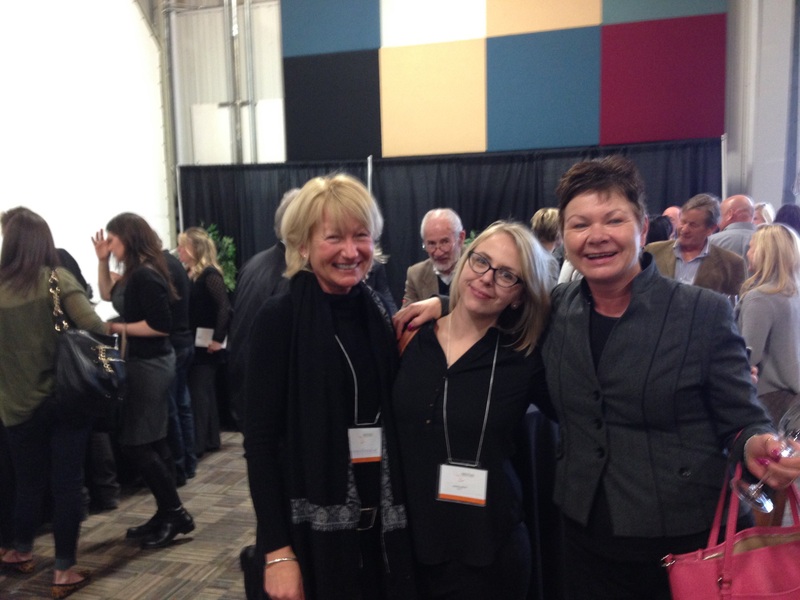 We had a lot of laughs and I tried a few new wines. And the funny thing was, I couldn’t find the one corkscrew my sister owned, so I literally was shopping for only wines with screw tops. This was my favorite new find of the past week. 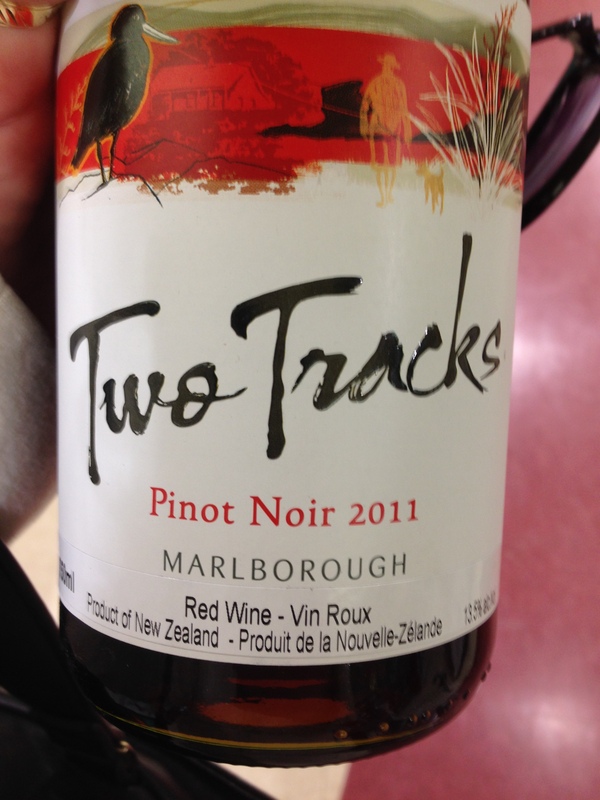 Two Tracks Pinot Noir from the Marlborough region of New Zealand. Gorgeous raspberry and plum flavors. It had some spice on the palate with a hint of chocolate. This was a very delicious wine, and not available here in Nova Scotia. 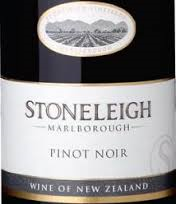 It really is too bad, because this was a great Pinot Noir at a great price, around the $22 mark. I am really looking forward to enjoying this wine again on my next trip back to Newfoundland. Again, not many California wines have a screw cap yet. 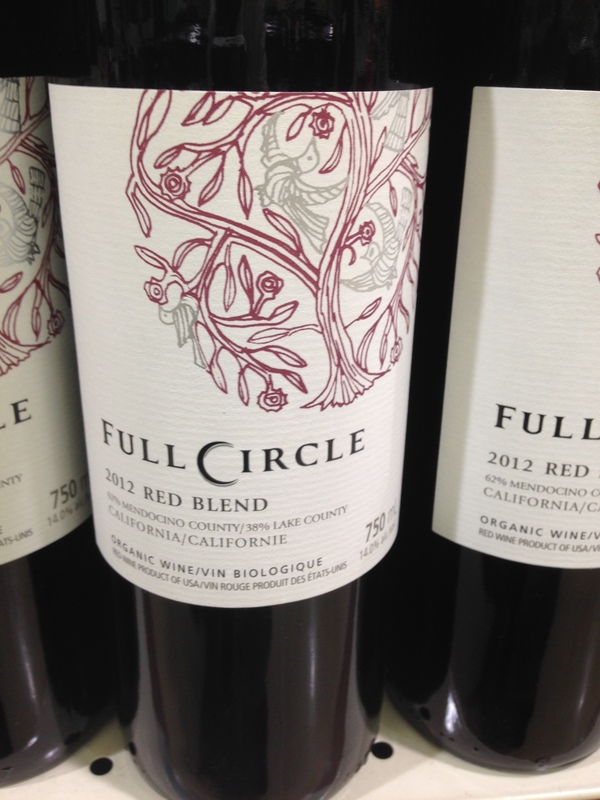 So I picked up the Full Circle Red Blend, a delicious blend of Merlot, Zinfandel, Carignane, Petite Sirah and Syrah. Just from the blend, you can imagine how juicy and fruit-forward this wine was. Merlot and Zinfandel make it plummy and berry rich with hints of vanilla and chocolate. It had great structure too, thanks to the Syrah and Petite Sirah. Great BBQ wine, and yes there is still a lot of snow on the ground, but my deck is snow free and BBQ ready. What’s with the Lattitude? 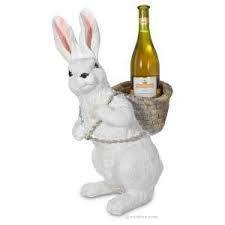 By the way, I have not tried the above wine, but I have it picked up and plan on it this weekend, so I can compare. I have discovered the Lattitude grapes come from a strip of land known as the Golden Mile. It’s a very fertile strip of land known for producing extraordinary grapes. It also won a Silver medal at the International Wine and Spirits Competition. The difference in price point is about $5. I’m looking forward to trying the above wine and comparing it to the Lattitude. Much to my dismay we had a few snowy days while I was home. And by few, I mean more than 2. 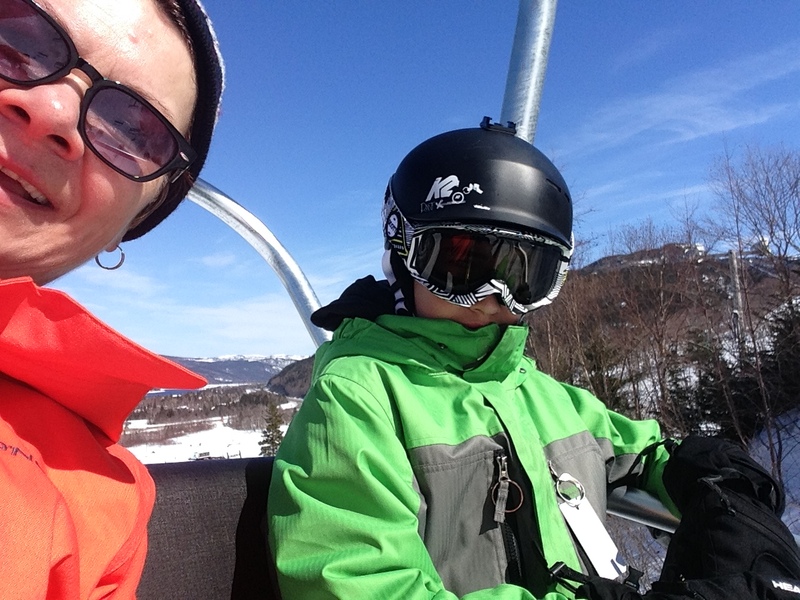 I did, however, get to go skiing a couple of times. When life gives you lemons – make lemonade. 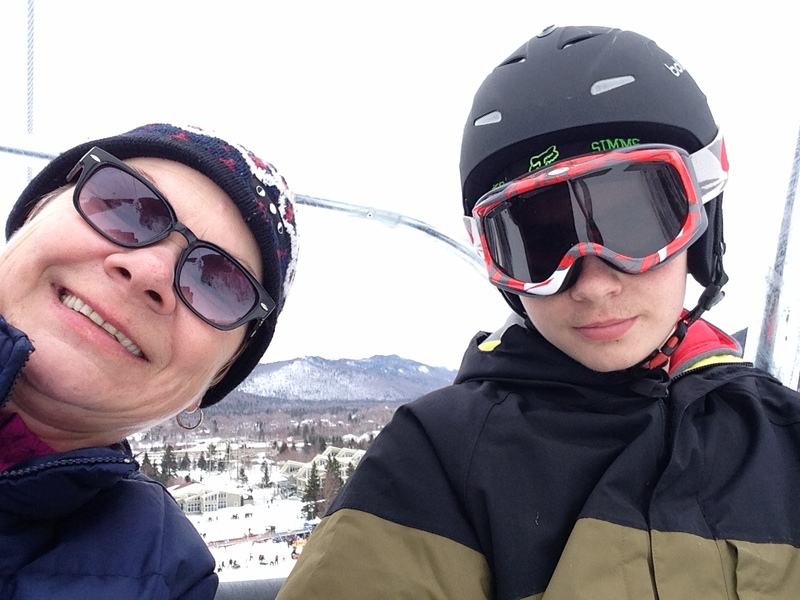 In this instance, when life gives you snow, go skiing! Till next week, take care and enjoy your wine responsibly.